However, there are several considerations involved in surgical treatment of osteoarthritis of the knee. Not only are there multiple methods of surgery that your doctor may recommend but there are many different varieties of implants that may be used to replace the knee joint. Orthopedic supply companies now-a-days advertise directly to patients presenting various products like ‘gender specific implants’ or ‘rotating knee implants’. Even with so much information available online it is very difficult for patients to decide on a reliable source of information that can help them decide which implant will suit them the best. The best way to decide is of course, with the help of your orthopedic surgeon who has the medical expertise and judgement to choose the right implant for you. The ideal knee replacement is one that will allow your joint and bones to function normally. This will enable you to go back to normal activities like walking and climbing stairs – and it should last throughout your lifetime. Even if a patient is presented with options of implants that claim to be technologically advanced or better received worldwide – the question to ask is that will the implant restore normal functioning for a lifetime? 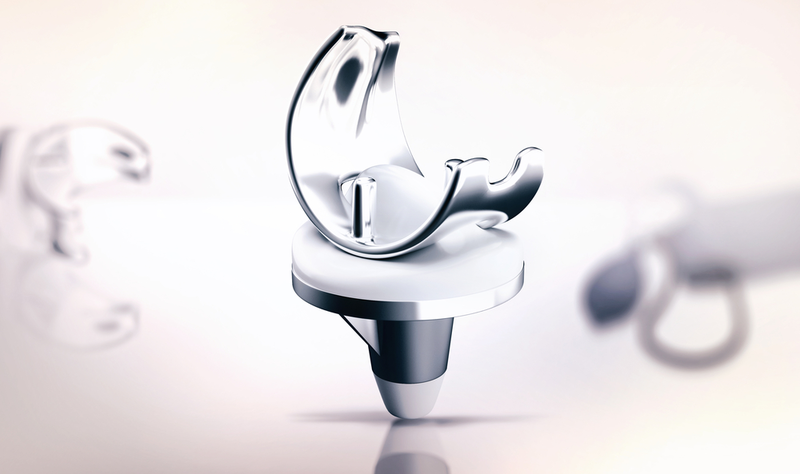 In order to understand the effectiveness of a knee replacement implant, the manufacturing companies and orthopedic surgeons often have access to research reports that contain track records. In other words, when an implant is used to replace a knee joint and the patient returns to normal activities – their results are tracked for at least a few decades to determine the success rate of the implant. For newly developed implants this data will be rare and will do little to prove their longevity. But for implants developed a decade ago or more – a patient may judge the success rate for the implant on the basis of these track records. Usually, the surgeon who is responsible for the knee replacement is the best person to judge the condition of the knee joint and decide on the best kind of implant that will work for the patient. Their experience and judgement is best suited for this kind of decision and they would be able to explain why they believe a particular kind of implant works better than the other. If you do independent research online and find an implant that you feel is better than the one recommended by the surgeon, feel free to ask your surgeon to compare both the implants based on their experience for more in depth information. The implant should have a minimum five years to a decade track record of success. Your surgeon should be comfortable with the idea of using this implant for your surgery. The implant must be considered suitable for your knee’s condition by the doctor. Uteshiya Medicare is the leading name in manufacture and supply for orthopedic implants in India. Across the country doctors trust the Uteshiya name to fulfill their needs for high quality surgical implants in orthopedics. At Uteshiya we hold orthopedic research at paramount importance and continuously strive to improve our products for the benefit of patients.